Since the launch (20 December 2009, 10 days ago) of TowerDefense, it is downloaded over 5.000 times. Wow! . So a very special thanks to everyone who’s been downloading, playing and commenting this game. 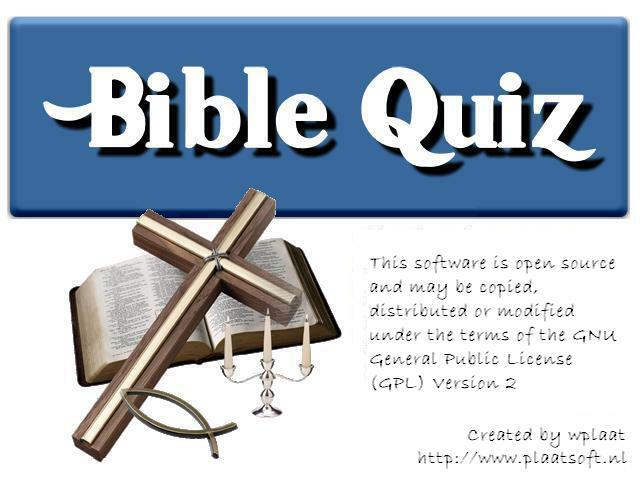 Since the launch (15 November 2008) of BibleQuiz, it is downloaded over 15.000 times. Wow ❗ . So a very special thanks to everyone whoâ€™s been downloading, playing and commenting this game. Today SpaceBubble is downloaded for more the 20.000 times. Many thanks to all the SpaceBubble players in the world. Wii Today Pong2 is downloaded for more the 35.000 times. Many thanks to all the pong players in the world. – Added “Easy, Medium, Hard” level select screen. – Added six medium level and six hard level maps. – Added version information is webservice call. – BugFix: Highscore screens now show correct amount of entries! – Adapted weapon specifications (Weapons are more powerfull). – Adapted enemy specifications (enemies are less powerfull). – Adapted six easy maps to be more easy. – Increase enemy walk speed after each 20 waves. This evening, after a christmas family party, i started the Homebrew Browser on my Wii an saw that TowerDefense v0.60 is available for download. In a few hours already 574 dowloads were registered. That is great news! 🙂 I hope everybody will enjoy the game as i did creating it. Good night everybody! This is the second official release for the wii homebrew scene. I hope everybody like the game! Comments are still welcome. – Improve game information panel design. – Show price and strengh information about new weapons. – Show detail information about selected weapon. – Show mini enemies moving on map select screen. – Bugfix: Map six background images are now showed correct. – Snap weapons to 32×32 grid! – Increase enemy walk speed after each 25 waves. – Not allowed anymore to stack weapons on same place. – BugfiX: The rumble is now working for all the four WiiMotes. This is the first official release for the wii homebrew scene:! : I hope everybody like the game! Comments are welcome. – Process most of the comments of the Beta testers. – Improve “Game Over” screen. – Improve game information panel on screen. – Improve scroll bar button design. – Reduced amount of enemies in one wave. – Increase user initials for 3 to 6 digits. – Balance sound effect volume. – Improve weapons upgrade ranges. – Use GRRLib v4.2.0 as graphic engine. This morning I have upgraded my website. – Upgrade all used plugins to latest available version. – Remove all Ads because revenue was really poor so far! – Remove total website page counter. – Upgrade Atahualpa thema from v3.1.8 to v3.4.4 because old version did not working anymore correct with WordPress 2.9.0. Posted comments were not visible anymore! Great news. 😀 The first beta release is available! Beta testers can download the game here. The zip file is password protected. Please leave a comment in the release notes. I will send you the password per email! This week the following functionality is added to the Wii TowerDefense game. – Added game map 4, 5 and 6. – Show when weapon upgrade is not possible anymore! – Added reload bar move weapon. – Added remaining energy bar below the base. – Rendering realtime grid examples on map select screen. – Added help screen two and three. – Added “Quit Game” screen. – Placing weapons under the information panel is not allowed anymore. – Added today and global Highscore screen. – Load map images (sprites) directly from SdCard. – Improve objects cleanup when stopping game. – Limit weapon upgrade levels. – Added WiiMote rumble support when pointer is on a button. – Improve button pointer detection area. – Fetch latest available version information from internet. – Fetch latest release notes information from internet. – Added functionality to store game score on internet. – Added Google analistics network calls. – Added music & effect control screen. – Added wave launch button on game board. – Added game information panel. – Added Map Select menu screen. – Added Local highscore screen. – Added User Initials screen. – Improve main menu screen. – Added nigh tracks background music. – Added game sound effects. – Added continues monster wave principle. – Added functionality to load/save game settings from/to SD card. – Added functionality to make screenshots (Press + button). This game is not released yet! I expect that the first Beta release will be available round Christmas time! Please leave a note if you want to be a beta tester for this game. – Added third game map. – Added water and bridge map component. – Added very basic main menu screen. – Added functionality that weapons can fire. – Added more comment to source code. – Align monster movement on grid.